2015 is the year of the tragic music documentary, it seems. After Kurt Cobain: Montage of Heck a few months ago, the tears are flowing once again for a musical genius lost far too soon. From ‘the award winning team behind Senna, comes Amy, the moving story of ‘Back in Black’-star Amy Winehouse. Asif Kapadia (director) briskly, but effectively, chronicles Winehouse’s rise from soulful teenage lyricist to music megastar, and the dark spiral into depression and substance misuse that followed. The talking heads are there, but they play second fiddle to the agonizing story at the heart of this documentary. They are most often left to accompany, and enhance, the brilliant collection of homes videos, news clips and concert footage Kapadia has managed to pull together for this project. Winehouse’s father, Mitch, has spoken out against the film, which he feels portrays him as an absent father figure. And, while Mitch is viewed rather negatively for large sections of the film, it never comes across as Kapadia’s editorialising. The filmmakers have defended themselves, saying that they merely took the footage they could gather and the interviews they carried out and crafted a two-hour demonstration of their findings. And that’s exactly how it comes across. Yes, Mitch Winehouse does seem to be a rather despicable human being, but I always felt like I was the one drawing that conclusion, rather than the film doing it for me. While, Montage of Heck was notable for Brett Morgen’s directorial flare, Amy puts far more emphasis on Kapadia’s editorial work. He avoids flashy visuals and instead puts the focus squarely on Winehouse’s tragic fall. Amy is a documentary that will undoubtedly lead you to question the darker side of our celebrity-obsessed culture. It pained me to see comedians mining Winehouse’s situation for laughs and to witness audiences lapping it up. Humans are wonderful, they truly are, but it seems we do have an inherent appetite for destruction. The Germans are open enough to have coined a word for it; ‘schadenfreude’, to revel in the misfortune of others. Never again, I promise . 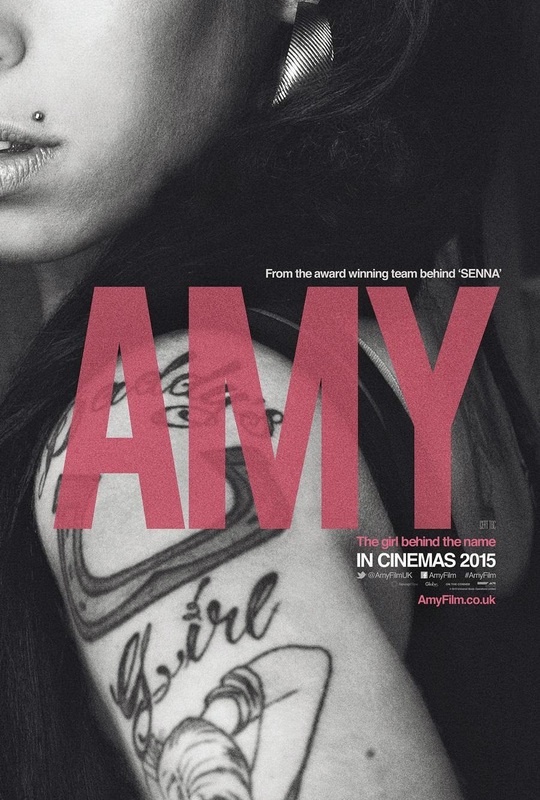 . .
Amy arrives in the UK on DVD on Monday 2nd November.